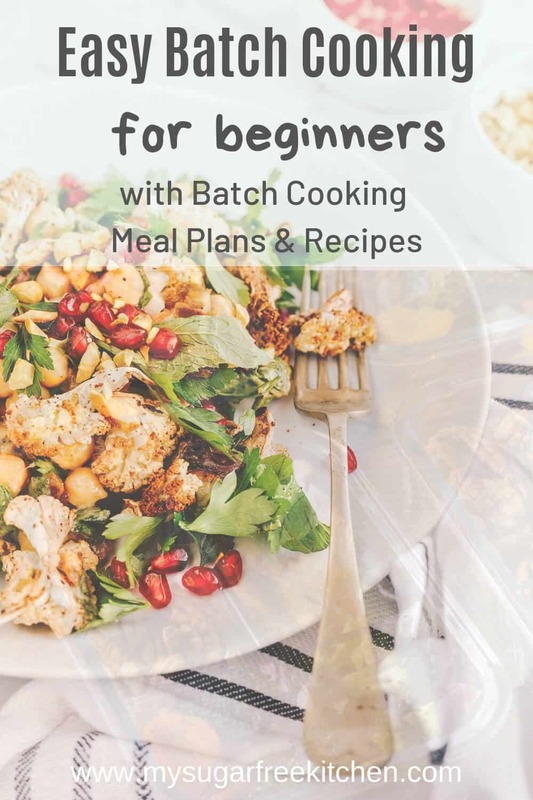 Batch Cooking for Beginners is the perfect resource for you if you struggle to get dinner on the table during the week because you worked late, you’re tired, you’re out exercising, doing the housework or just plain don’t like cooking. It’s cook once, eat multiple times over. 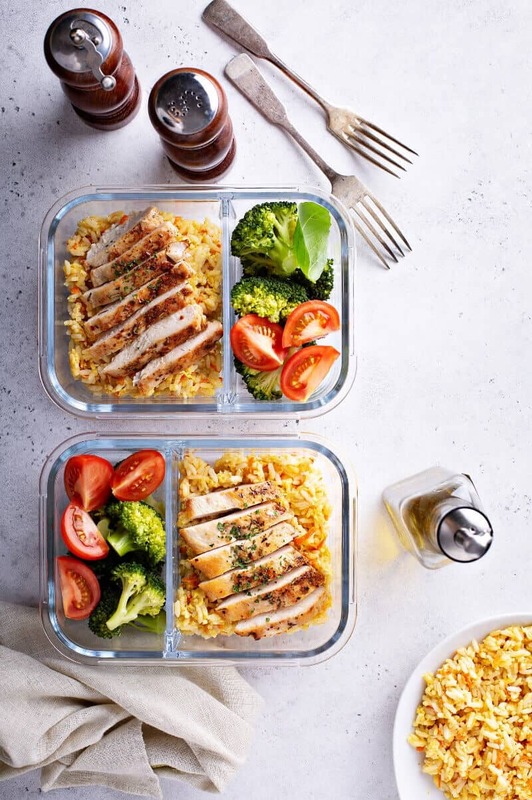 Its great for Sunday afternoons when you have an hour spare to get your meals sorted or you and hubby (or even your family) so you have less stress during the week, get dinner on the table with ease and eliminate those awful 5pm grocery runs on the way home. 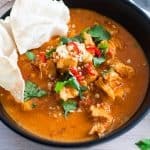 What Is Batch Cooking for Beginners? Batch cooking is cooking dinners ahead of time so that you have meals ready on hand (either in the fridge or freezer) for when you don’t have time to make dinner from scratch. For example on a Sunday afternoon you might make a double batch of spaghetti and meatballs that serves 8 so that you can portion it out into four meals for yourself and your husband. Or, perhaps you’re a shiftworker and you have a Tuesday off, you might make up a basic chicken curry that serves 4, (on the stovetop), and in the oven you also have a tuna pasta bake that serves four. This gives you four servings of two different meals that you can rotate through the week. 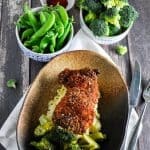 How Is Batch Cooking Going To Help? Have you ever wondered about batch cooking and if it really works? I was a bit skeptical at first mainly because I like to eat fresh meals each day. After doing it for a couple of years, I am a convert and I am a big fan of batch cooking for a number of reasons. Batch cooking tastes better than frozen and processed foods. Homecooked meals are always going to taste better that stuff out of a box. Meal and menu planning happens on autopilot. I allocate 1 hour of prep time to make 2 recipes on a Sunday afternoon. I prep one dish and get it cooking, meanwhile I prep the second dish. For example: If I’m doing a slow cooker recipe, it might only be 10 minutes of prep and then 8 hours cooking. After I’ve put on the slow cooker, I might spend 15 minutes making a shepherds pie which then bakes for 40 minutes. How Much Time Will I Save With Batch Cooking? I save upto 1 hour each evening during the week when I’ve done a batch cook on the weekend. This extra one hour gives me more time to spend with my husband, phone family, read a book, play with our dog or importantly, EXERCISE! Will Batch Cooking Save Me Money? Batch cooking saves money on groceries because I’m cooking more of the same thing and that requires less ingredients. Cooking a double batch of one dish, or two separate dishes, is cheaper than making four separate dishes with four separate lots of ingredients. When you get into the rhythm of batch cooking and you have your regular dishes on rotation you can save even more money on groceries as you become better at using what you already have in the cupboard and fridge. Step 1: Clean out your freezer and fridge to make sure you’ll have enough room for your dinners once they are cooked and portioned out. Clean out your Freezer: if you’re intending on freezing your dishes, (or even half of them), you need to make sure they can fit in the freezer). Remove anything from your freezer that is past its used by date, and anything else in there that is taking up room unnecessarily. Clean out your Fridge: I clean out my fridge regularly to make sure I am using the veges that I have bought and to check if any have slipped through and have gone past being able to be used. Anywhere you can buff up your dish with veges is a good thing. Likewise, get rid of anything in your fridge that is not needed, almost empty or expired. Step 2: Decide on your recipes. Start with 1 or 2 easy things to make that you are familiar with and have made before. Decide if you’ll make single or double batches. Work out if you’ll have enough spare containers to portion it out either into single serves if you’re cooking for one, or double serves if you’re cooking for two. Step 3: Make a grocery list. Check what you already have in your pantry and fridge and write up your list and do your shop or order it online and have it delivered. 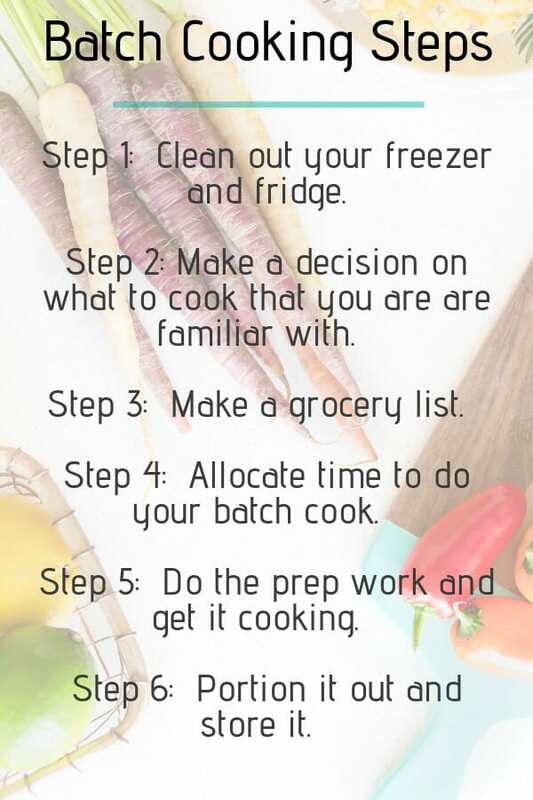 Step 4: Allocate time to do your batch cook. What day will you do it on, and at what time? Schedule it into your calendar if you need to. Step 5: Meal Prep and Cook. Begin one recipe at a time. 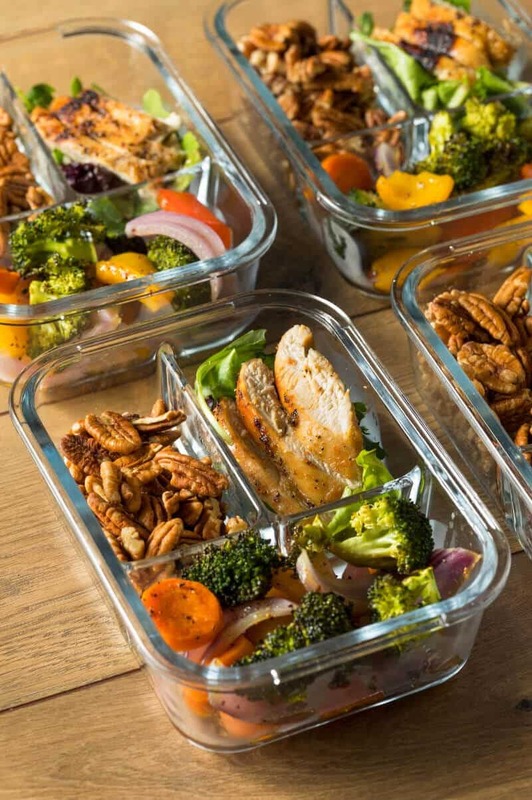 Do the prep for the first one, and get it cooking and out of the way, then focus on getting started on meal prep for the second recipe. Step 6: Portion it out and store it. Don’t forget to label and date your containers so you know what it is and when you made it. I’ve used both glass and plastic storage containers in the past. My preference now is for clear plastic (BPA free) ones so I can see what’s in it at a glance. You could use masking tape or some other tape and write on that the name of your dish and the date. I’ve found though that when it’s in the freezer, it can sometimes fall off with the cold. There are different types of container labels you could try if you want something more organised than DIY tape. In terms of storing the containers, it’s stacked one on top of the other for me and then I arrange other things around them in the freezer. Pressure Cooker: this is my favourite way of batch cooking, simply because it is really quick to cook a curry, casserole or stew. It comes out juicy and tender likes it’s been in the slow cooker for 8 hours, but its only cooked for 20 or 30 minutes! Slow Cooker: this is my second favourite because sometimes I just love the smell of slow cooker food wafting through the house on a Sunday. Slow cookers are great to put on on a Sunday morning before I head out for the day, and then when I come home in the late afternoon, I can put on a super quick pressure cooker recipe to make up my batch cook for the week. Stove Top: This is a great option for pastas as well and when it’s just too hot to use the oven. Think spaghetti and meatballs, and my savoury mince curry recipe. Enjoying this post? Pin It to Pinterest , and leave me a comment below. Get your groceries, clean out your freeze and make sure you’ve got enough containers to put the meals in. You can probably tell from this plan that we LOVE curry in our house! → TIP: Make a double batch of your favourite curry on a Sunday, wait for it to cool and portion it out into containers and store. Stovetop or slow cooker. Use whatever you’ve got to make it happen. 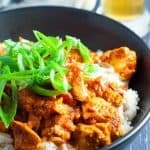 The trick is to add something different each night to the curry to make it seem new and exciting from the previous night. Mix it up, keep it fresh and new each night. PRO TIP: Another trick is to serve your dish on different plates/bowls each night. I have a huge assortment of plates and bowls that I’ve collected over the years. Some a little fancy, but most I’ve collected from thrift stores and throw out sales. ◊ You’d be surprised how different it can feel eating the same thing off a different plate can be. 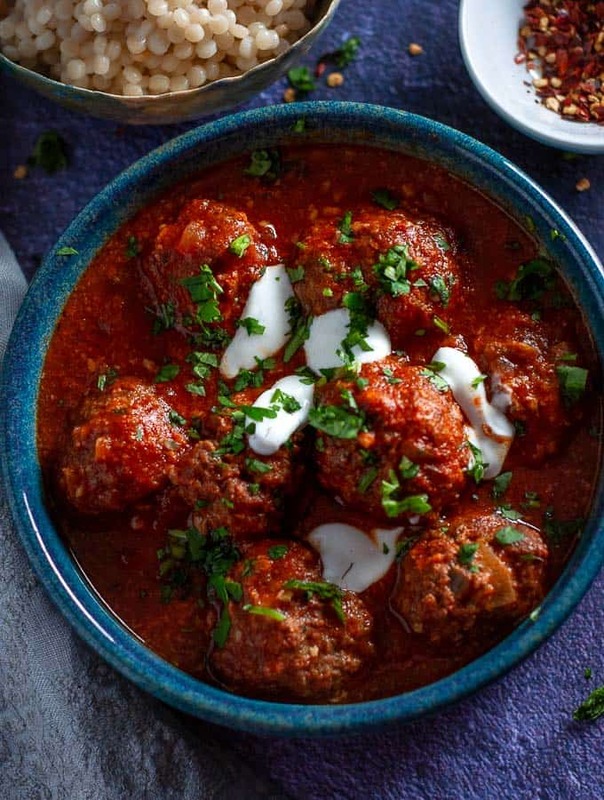 I’m obsessed with these 8 hour slow cooker Moroccan Beef Meatballs. They are the bomb! 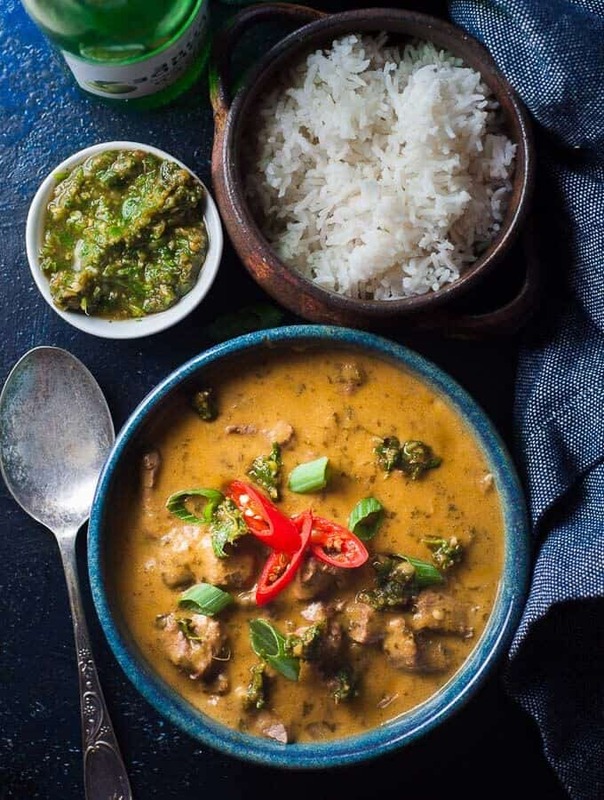 Hands down, this unusual Corriander Beef Curry is one of my go to comfort food batch cooking dishes to make in my pressure cooker. 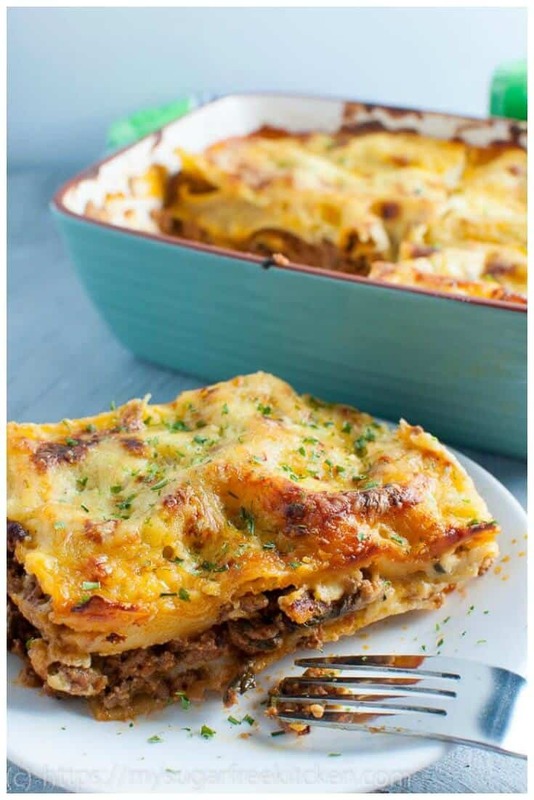 Good Old Fashioned Lasagna made from scratch, best made in a heavy bottom casserole dish.